A web designer, inventor, entrepreneur, advocate, and much more, Ean is a man of many talents. His company, ICAN Resource Group Inc., is just as diverse, with services ranging from medical assistive technology to multimedia development. Ean has Muscular Dystrophy (SMA Type 2). He requires a power wheelchair and is ventilator dependant. 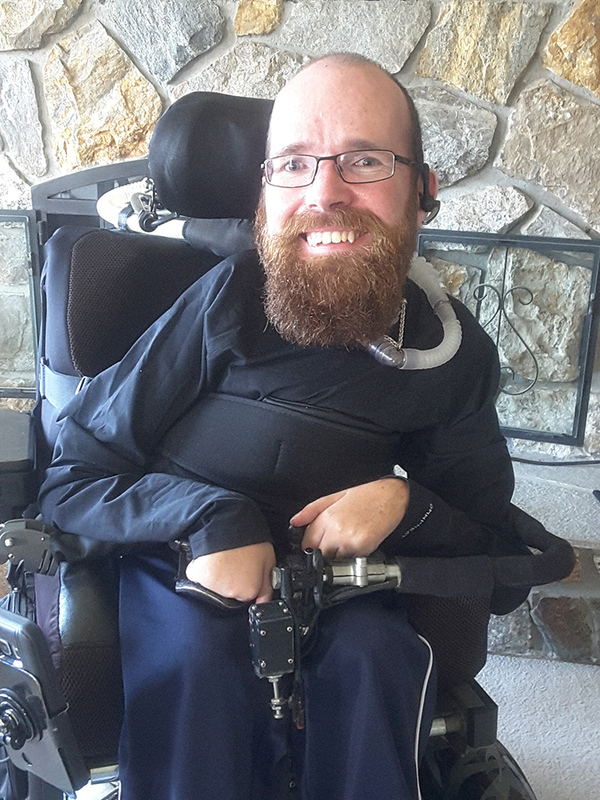 Based in Kelowna, BC, Ean is an advocate for independence through technology. With help from his father, he invented a retractable straw device to remove saliva from his mouth, as he is unable to swallow. With so many projects, Ean is a busy man. However, he needed a tablet to communicate his ideas to clients, as well as a Bluetooth module to interface the tablet with his chair. As the Disabled Sailing Association of Kelowna’s President and the Tetra Society’s Kelowna chapter coordinator, he discovered the Neil Squire Society at a SCI-BC conference in Vancouver. The Neil Squire Society Kelowna office referred him to the Technology@Work program, where he could receive funding for his needed assistive technology. “It was absolutely wonderful,” Ean says. “I have worked with similar programs in the past. I believe Neil Squire has streamlined the application process and thus able to expedite approvals. With the help of the Technology@Work program, Ean is able to continue running his own business and continue making a difference. Specializing in education and workplace empowerment since 1984, the Neil Squire Society helps people remove barriers to independence so that they be active members of society.